Curtain call for the Wild Women of Poetry at #KWWC2018: (left to right) Eliza Sayers, Promise Kayembe, Amelia Loeffler, Kyla Lacy, Native Child Brown, E'mon Lauren, TSmilez, Patricia Frazier, and headliner Safia Elhillo. Congratulations to Kyla Lacy, winner of the Faith A. Smith Poetry Prize ($500) and to runner-up Patricia Frazier. Congrats also to headliner Safia Elhillo, who later won the Ruth Lilly and Dorothy Sargent Rosenberg Poetry Fellowships for writers between the ages of 21 and 31 from the Poetry Foundation (a prize of $25,800). 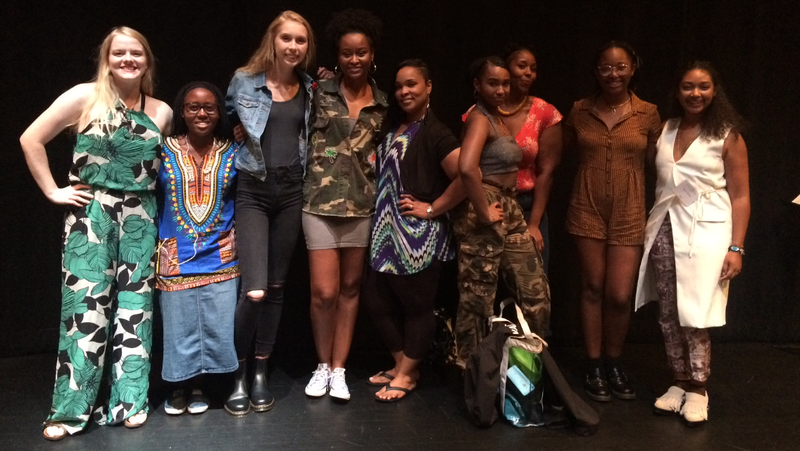 These poets competed for the Faith A. Smith Poetry Prize. The Faith A. Smith Poetry Prize, established in 2011 by Kentucky poet Frank X Walker in honor of his mother, is awarded to the winner of Wild Women of Poetry Slam. It carries a $500 cash award, and an existing prize of $200 is awarded to the runner-up, making the slam one of the most generous in the country, also furnishing a small stipend, a travel reimbursement, and conference passes to every competitor. The event is free admission, and an open mic at 7 p.m. will precede the competition. To sign up for the open mic, please contact Slam Coordinator sara.volpi@wku.edu. 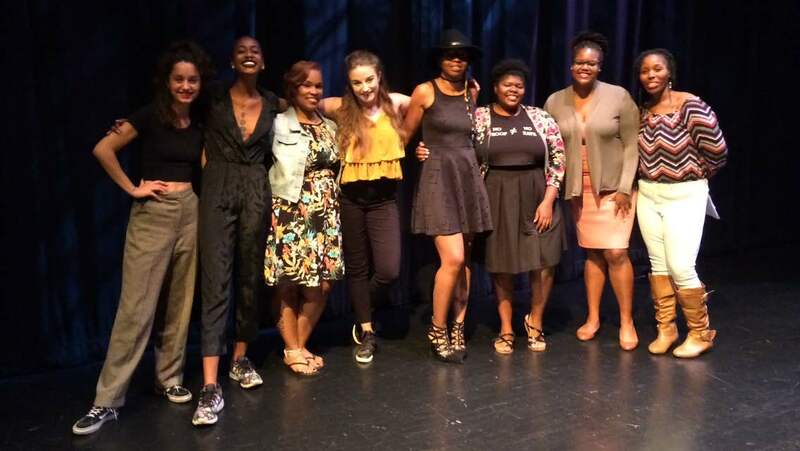 Curtain call for the Wild Women of Poetry at #KWWC2017: (left to right) headliner Olivia Gatwood, slammers Raych Jackson, Native Child Brown, Shay Alexi, Christina Boyd, Talicha J. and Lyric Leslie, with emcee Tyneka TSmilez McDaniel. Congrats to Talicha J. for winning the Faith A. Smith Poetry Prize and to first runner-up Raych Jackson. Huge thanks to our amazing sold-out audience of diverse people who appreciate spoken word.